The president has long denied having financial ties to Russia, though Donald Trump, Jr. once said the family business "sees a lot of money pouring in from Russia"
President Donald Trump's son denied Monday that he told a sportswriter that the family's real estate business got money from Russia to fund golf courses. According to Dodson, Eric Trump told him in 2014 that the family was receiving "all the funding we need out of Russia" and wasn't relying on American banks for money to build golf courses. Dodson, who recounted the alleged exchange Friday in an interview with Boston radio station WBUR, said Eric Trump also said Russians are "really invested in our programs" and "we just go there all the time." 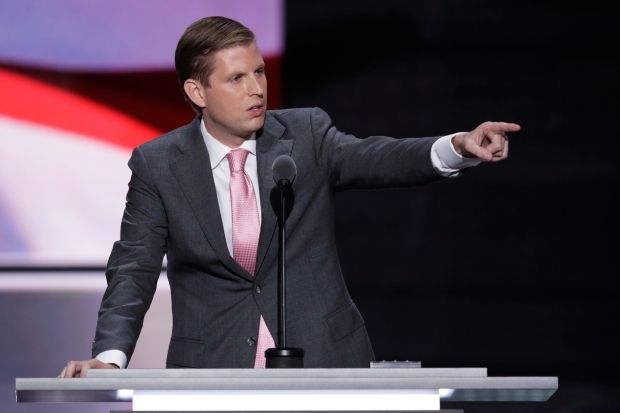 Eric Trump continued to deny the comments late Monday morning. "This story is ridiculous," he said. "We own all of assets free and clear, buy the properties in cash, etc. This really is the worst of the media." The comments to Dodson echo earlier remarks from Trump's oldest son, Donald Trump, Jr., who told a real estate conference in 2008 that the family business "sees a lot of money pouring in from Russia." Still, the president has long denied having financial ties to Russia. 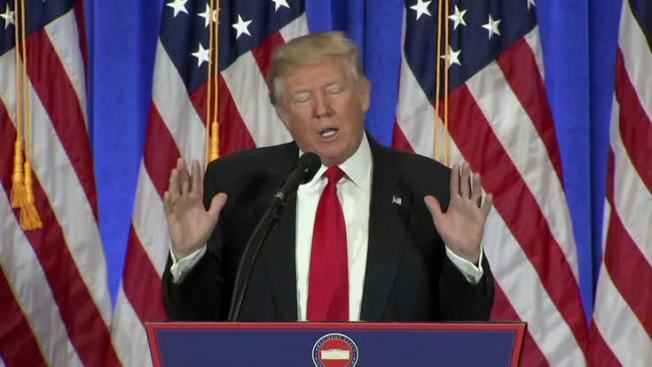 But some Democratic lawmakers say that unless Trump releases his tax returns, which he's so far refused to do, questions about possible business links to Russia will persist. The president turned over control of the Trump Organization to his sons shortly after taking office.